Wachowski Brothers Taking on Superman Reboot? Turns out Mark Millar wasn’t just blowing smoke when he revealed that he had a director and producer in mind for a new Superman project, and revealed that things were happening behind-the-scenes in regards to the Superman Returns sequel Man of Steel (which happened to be true). 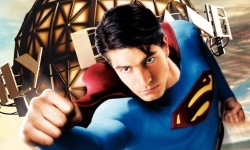 Superman Returns star Brandon Routh, who admits he was never contacted by the studio to be part of the now “tabled” Justice League of America film says that the timing was off to release the film now. Routh also talked about filming for Man of Steel. Details after the jump. The Superman Returns sequel, currently being referred to as Superman: The Man of Steel, has not been delayed. The project was assumed delayed due to possible conflicts in Bryan Singers schedule.